validate the above with real use cases execution. 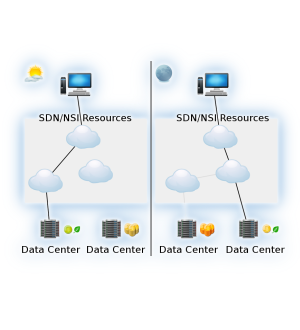 FELIX, in comparison to other state-of-the-art initiatives, integrates into one framework all features to perform multi-domain distributed resources management with on-demand provisioning. The project is not limited to single resources type or technology, but rather integrates various type of resources to offer world-wide services. It will be the "FELIX day" at 8th IEEE/ACM International Conference on. FELIX project tutorial will be organized 30 September 2015 at. Gino Carrozzo and Kostas Pentikousis made the presentation "Framework for. Jin Tanaka from KDDI will make a presentation about. 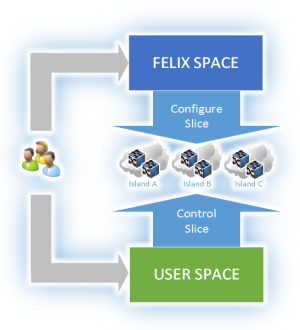 The primary objective of the FELIX project (FEderated Test-beds for Large-scale Infrastructure eXperiments) is to create a common framework in which users can request, monitor and manage a slice provisioned over distributed and distant Future Internet experimental facilities in Europe and Japan. Copyright FELIX EU-JP © 2013-2016.